Up to 10 weeks to pay, from $18.20 per week. 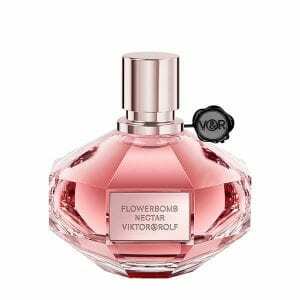 When working on the Flowerbomb fragrance, Viktor&Rolf wanted to create something new. They dreamt of a fragrance that had the power to spread a positive message. A profusion of flowers as a weapon to spread the world with beauty and fantasy and to transform the negative into positive. An explosive bouquet of fresh and sweet notes arrives with Flowerbomb. Introduced in 2005, this oriental fragrance is now a worldwide bestseller. Discover the Flowerbomb range now. As the world-renowned wizards of conceptual fashion, Viktor & Rolf is known for inventing surreal twists on conventional design. Today, the design duo are synonymous with creation and surprise, fashion and perfume - bridging the worlds of luxury and art. I have read reviews about this fragrance and everyone seemed to like it but I thought, why do I need another fragrance? Let me tell you, I am so glad I bought this; it’s like no other fragrance I have ever had! You will love it. I am not a perfume person. Never have been. Until I cam across this intexicating scent! I could literally bathe in it! It smells so good! Not too sweet, not too floral, not too musky. Hands down the best scent ever! This is such a luxury brand and the smell really makes sure you know that. I love it. It is floral, as the name would suggest, but a spicer floral than say, the Tom Ford Orchid Soleil. It’s worth the purchase. It smells wonderful, and the fragrance stays on you. This perfume has been my holy grail since I laid my hands on it! I’ve had it for about 3 months and use it on a regular basis, I’m in love.